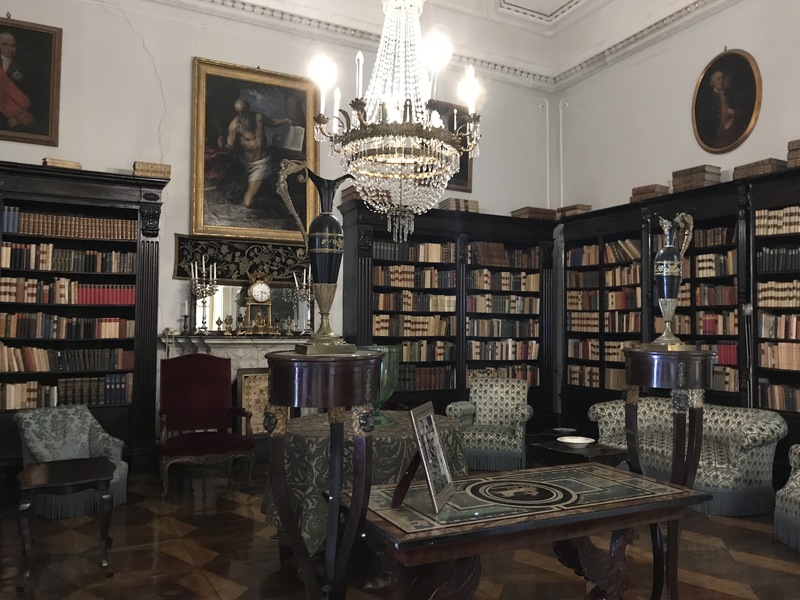 Giuseppe Tomasi di Lampedusa’s library was beautiful—as was the rest of the mansion, which was quite aware of its own grandiosity. Three college girls from the UK on an internship program in Sicily gave us a tour of the house, giving a little background on certain elements of the house or portraits that featured descendants of Lampedusa, including the duchess, who still lives in the house and offers cooking lessons for nearly 200 euro. WWII bombing destroyed some of the house, but most of it was preserved (aside from the duchess’s private quarters). 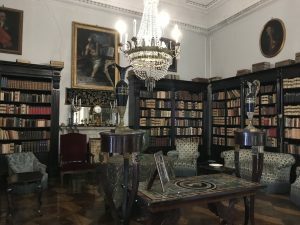 This whole idea of preservation takes on an ironic tone when considering Il Gattopardo—Lampedusa wrote about the dying aristocracy at the end of the 19th century, yet his ancestors are trying to hold on to the already-gone aristocracy years later.